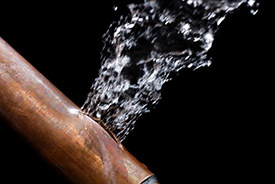 Most water pipe leaks occur from brass pipes bursting, which is caused by corrosion over the years, when we repair your pipe we replace it with copper piping because copper does not deterioate nor do they corrode, unlike brass pipes. 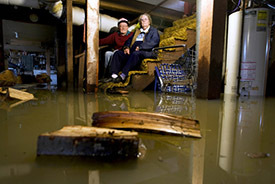 The worst thing about a basement flooding with water is not so much the pipe leak itself yet the damage that is caused to furniture, flooring, walls and many other valubales that many people store in their basements, especially if it is a finished basment. 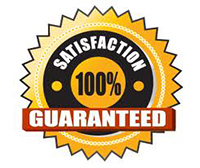 In many cases, water in the basement may flood as high as several feet, in this kind of flooding situation our emergency plumbing technicians are equiped with sump pumps to faster remove the water from your flooded basement.